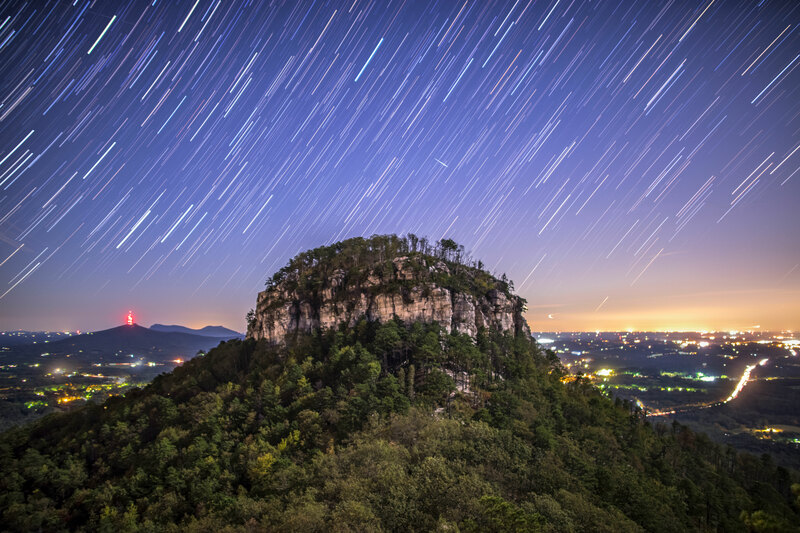 Star trails above Pilot Mountain, captured September at Pilot Mountain State Park. Captured following the sunset, and the mountain is lit by the moon. 150+ image stack over 45 minutes. In North Carolina.